Our goal is to bring together leaders of African descent who are working in our communities on the issues of water and food sovereignty for a special meeting at U.N. Headquarters this July. Gathered in person, we will learn together, share resources, and strengthen the connections between communities of African descent to increase access to clean water, protect watersheds, and develop strategies to respond to the water-related impacts of climate disruption. 5. Develop strong monitoring mechanisms to improve the lives of peoples [of African descent. The theme of water builds upon our African Diaspora Earthcare Coalition’s 2017 efforts to educate, advocate, and create solidarity networks supporting the retention of agricultural land and food sovereignty for people of the African descent. The threats of drought, famine, and other anthropogenic and climatic events are inextricably linked to water. Our Earthcare Coalition, led by the Quaker Earthcare Witness United Nations Working Group, is comprised of organizations and colleagues from the worldwide African diaspora and works to create alternatives to the worsening scenarios of climate change by promoting food sovereignty, land retention, and access to water for people of African descent. This year inaugurates the United Nations’ International Decade for Action: Water for Sustainable Development as the U.N. 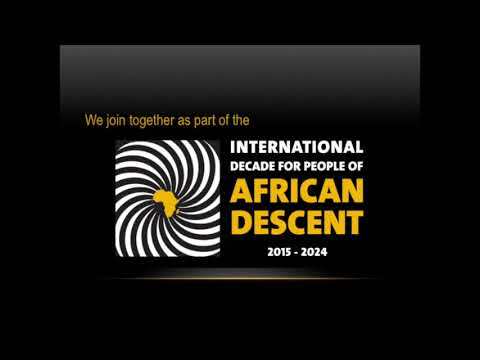 Decade for People of African Descent continues. “Water is at the heart of adaptation to climate change, serving as the crucial link between the society and the environment,” according to the U.N., and so are the 200 million people of the African Diaspora. Your donation will help make this work possible by bringing these committed change-makers together to amplify their work and share key resources. Click here to donate. To get more involved, please email Beverly Ward at fsearthcare@seymquakers.org.